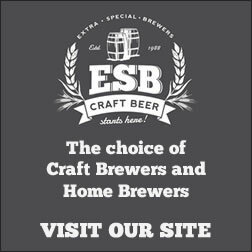 Making up an ESB Wort Kit is the easiest way to make your own beer – and one of the best. In fact it’s hardly brewing at all. The kit comes in a kind of plastic jerry can containing 15 litres of already brewed and hopped wort. 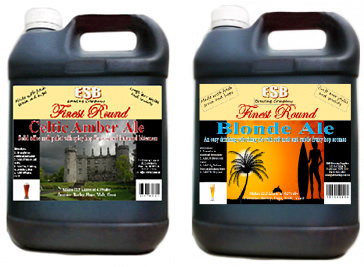 The work is all done by Matt Donelan in his St. Peter’s Brewery in inner Sydney and the kits are sold by Mel Robson’s ESB Brewing Supplies. 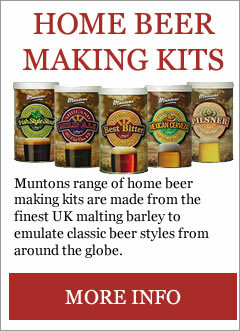 All you have to do is pour the wort into a fermenter, top it up with as much cold water as you wish – the kit instructions recommend 3 to 5 litres – then pitch the yeast. It takes about three minutes in all. You can, if you wish make even simpler by adding no extra water and just fermenting the 15 litres or you can go the other way and add some extra late hops. At 15 litres the kit is rated at around 1.050 SG but of course the more water you add the lower this figure drops and the lighter the beer you will make. The kit comes with its own yeast but I decided to pitch a sachet of Safale after adding 3 litres of cold tap water. This worked very well and the beer was ready to keg within a week and for drinking a few days after that. to the dilution to 18 litres, it was beautifully flavoured, like smooth, dark chocolate, perfectly balanced with the necessary underpinning of bitterness that allowed it to finish cleanly on the palate. Out of the keg, the head was almost of Guinness nitrogen standard, tight, solid and creamy. Realistically I can’t see myself making up any other stout than this from now on. Why spend a day Mashing when you can get this? 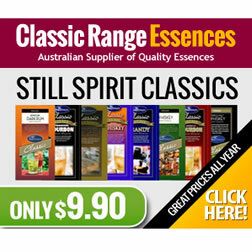 At $25 plus $5 returnable deposit on the container from ESB, this kit may seem expensive but it’s good value for money. Think about it. 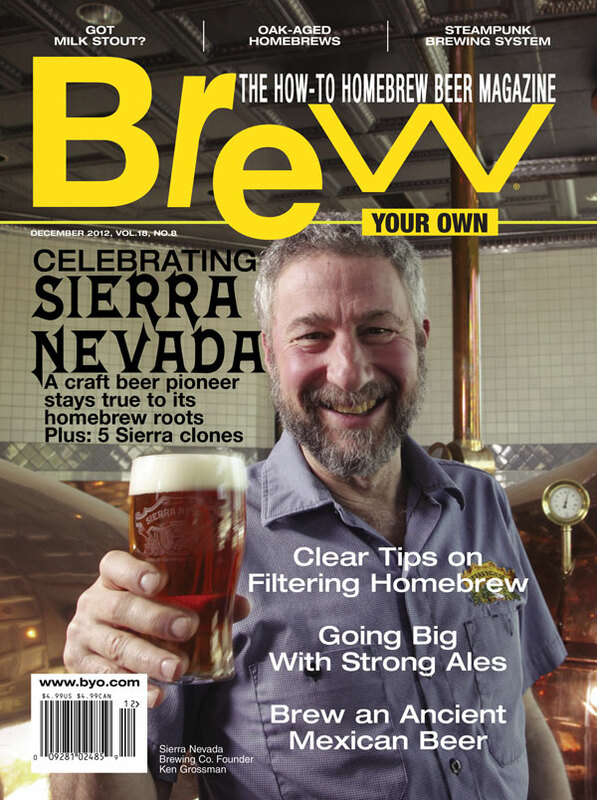 You’re getting a top-class stout brewed by a master brewer. It takes about 3 minutes to make up and you can be drinking it within two weeks or even less. If you bought a good quality can kit then made it up with a good brew extender you wouldn’t get much change from $20 and the quality would not be as high – for this is a wort that has never been condensed and so has lost none of its flavour and character. What’s more 18 litres is the equivalent of two slabs, or 48 cans , of commercial beer and for that you’d be paying at least $50 – though when did you last see Guinness, Sheaf, Cooper’s or Southwark at that kind of price? That’s the quality level of this kit. Don’t miss it.